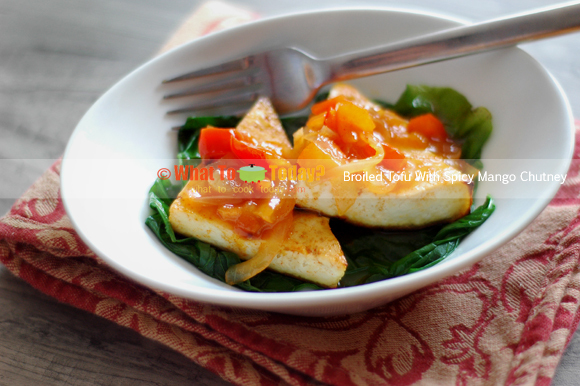 Tofu is a great alternative to non-animal base protein you can include in a diet. I kinda think of it like a cheese in the western diet. They are made of soy beans that are cooked and then pressed into soy milk. A coagulant is added to make the milk curd. The curd is then pressed into white cakes you see as tofu. They are available from silken to extra-firm tofu. 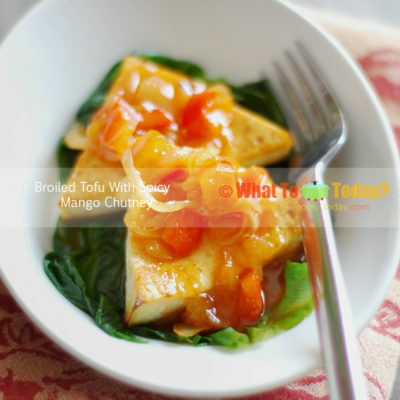 The extra-firm tofu, which is used in this recipe, has more moisture pressed out and hence, it is denser and hold its shape better when you cook it. The silken (the softest of all) is very fragile and doesn’t hold its shape as much if you tinker with it too much, but it melt in your mouth and super smooth. My daughter likes the silken tofu compares to the firm or extra-firm tofu. 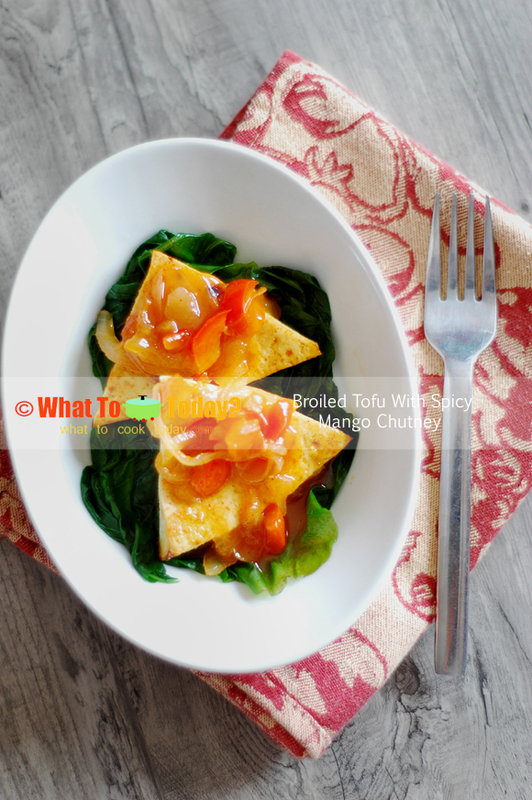 Tofu is widely used in the Chinese kitchen for stir-fry, soup/stew, and desserts. It is my choice of protein when I don’t feel like cooking any meat or fish dishes. 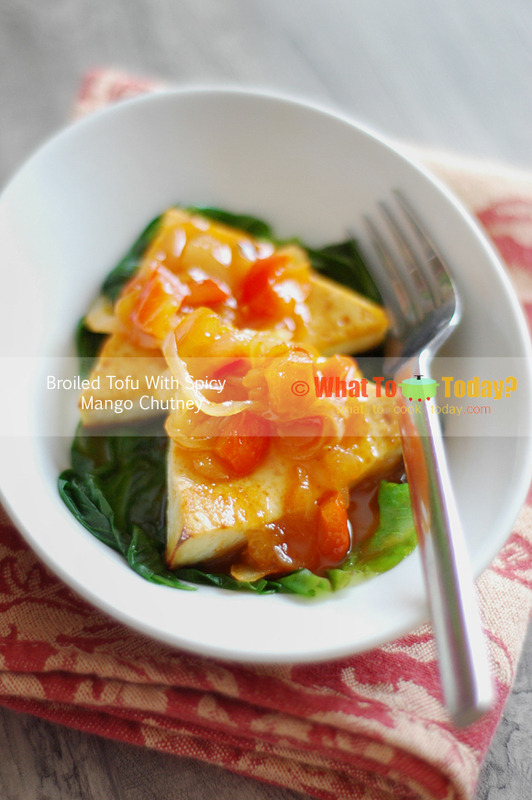 You will find this broiled tofu with mango chutney is simple to prepare and delicious at the same time.